They are the bane of the estate agent’s and developer’s lives, and also, of course, the confused buyer who finds that he/she can’t get the mortgage they expected because of a low Tasador valuation and only Tasadores valuations are accepted by the Banks, Registrars and Courts in Spain. The latest check of our RICS valuations has shown that, on average, our valuations over a four-year period are approximately 98.5% of known actual purchase prices supplied by client buyers. 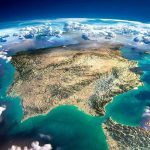 Over the years we’ve had various ‘discussions’ with Spanish valuers regarding mortgage valuations that have been substantially different from Survey Spain’s fully researched current market values. We’ve known various reasons for this difference, but I thought that it would be useful to provide you with a summary explanation, resulting from a detailed conversation and explanation with a co-operative Spanish valuer with whom we have been jointly valuing two apartments in Marbella. As you may be aware, Spanish mortgage valuers have to value according to strict regulations and methodology laid down by the Bank of Spain. At times, it’s been suggested that amendments to these regulations have been more aimed at financial control of the Spanish economy, than seeking to improve the accuracy and consistency of values. As a result of this conversation, a number of principal reasons were ‘discovered’ relating to these particular valuations, but which will also apply in general. Because part of the gardens of the urbanisations in which these properties were located, were within the green zone of the Coastal Law (Ley de Costas), the tasadores are obliged to make a deduction, with the % depending on the severity of the encroachment. In these cases, 10%, despite recognising that the individual apartments were outside the restricted areas and that, as the Promenade (Paseo) is already created, it is highly unlikely that there will be any need for action by the authorities. 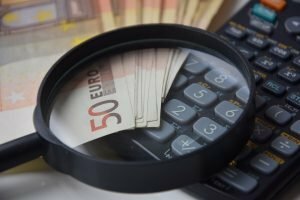 This 10% amounted to a deduction of more than 60,000€ euro in each case! If 15% or less, then it’s taken at 50% of the apartment value. Without detailed knowledge of the comparable properties, where they will have to depend upon the Catastral measurement, this must make accurate comparisons difficult. If the tasadores measure with laser meters the net internal area, excluding walls and stairwell. (Útil), then, depending upon the thickness of the walls, they multiply that by between 1.15 and 1.20 to get the gross overwall area (construido), which is the one used in Title descriptions (Nota Simple) and Tax description (Catastral). Where at all possible, Survey Spain’s valuers measure the external size directly with a tape. The big one! They deduct up to 15% from the final valuation to account for selling costs and expenses to give the net amount that the bank will receive. With there being such a volatile market, why do Tasadores guarantee their values for 6 months? – It’s so that it will still be current when the mortgage document is passed to the registrar. Otherwise, they can be obliged to revalue at the client’s cost. Though not stated, from information provided, the individual tasadores are paid so little for each valuation that they have to pack the maximum number into their day to make it worthwhile. Accordingly, they often don’t have the time to fully research and contemplate the results, having to depend at times on comparables found by automation. So, when clients ask why the Tasación is so different from the current market value (our valuation), those are possible reasons. That’s ignoring the fact that they may be less rigorous in identifying and applying true comparables!! Ethically and professionally governed by RICS* in London and Brussels; qualified and experienced; English and Spanish speaking; independent, conscientious surveyors working with integrity only for you. No conflicting loyalty to banks, developers, contractors, owners, estate agents, lawyers or town halls! All Building Survey and Valuation reports are reviewed by a second surveyor. HQ in Costa del Sol, our Building Surveyors and Valuers live and work throughout the Iberian Peninsula, from the Algarve in Portugal; all the Costas (Costa Blanca, Costa Brava, etc) and inland around Spain up to the French border, plus the Balearic (Mallorca, etc) and the Canary (Tenerife, etc) islands; and Gibraltar. Chris is absolutely correct and the problem is clients will naturally trust the opinion of a spanish official valuation company employed by a bank to that of an estate agent. Those 4-6 page documents with multiple caveats, measurements and comparison tables are after all very impressive. However, the truth is official valuations in Spain are wildly speculative and are closer to a pseudo-science than science since their basis of fact is speculative (asking prices not selling prices). Official Spanish valuations are not based on a public record of sales as the public record is private and cannot be unlocked without an owners permission. Transparent data is needed for a transparent market where banks lend with confidence to clients who can buy with confidence. Even with transparent data it is true with property as it is with fruit that never two apples are the same and clients who have done their market research must rely finally on their own judgement. However, as a basis of fact transparent data would be a very welcome foundation for informed opinion. I receive calls from RICS valuers regarding recent property sales which at least means they are trying to obtain accurate market comparables. Trust! That’s at the heart of it. Even if the Registry information was available, like say Rightmove http://www.rightmove.co.uk/house-prices.html in the UK, would you trust it in Spain? Often, even now, much of the price is paid ‘under the table’ so that the real prices aren’t known. It’s getting much better as it used to be almost every transaction was like that. However, that’s made life more complicated, which has been shown in the trend statitsics of the Registry. The long period when the market was going down and everybody knew that prices were collapsing, happened to coincide with the intense action against money ‘laundering” when notaries, lawyers, bank managers, estate agents and other professionals were imprisoned for aiding these Black Money ‘habits’. That concentrated the minds of the professionals, so that they now cannot be involved at all in that part of the transaction. As a result, many more full prices were and increasingly are being recorded. In a level market that would have been recorded as an increase in values in the registry compared to the previous values recorded without the ‘B’ money. As the market was falling, what it did was disguise the extent of the actual fall. Valuers have to trust in the information given to them, sometimes most reluctantly, by the agents, lawyers, etc, which of course breaches these professionals confidentiality to their clients. Also, they may not know the extent of the cash transaction that happens in the bar before or after the Notary signing! The only real way of knowing is to get the information direct from the buyer or seller. Survey Spain have the benefit of being in direct contact with many buyers when they ask for pre-acquisition building surveys. At that time we always ask for the asking price and the actual agreed buying price. By gathering that information, we can more accurately know what average deduction to make from Asking Prices when we are providing formal valuations, that essentially have to be based on average asking prices for other properties available in the area. When comparing our valuation reports with those of tasadores, there are three problems. 1. They value to the definition of mortgage values for the banks, which is effectively the value that the bank is going to be left with if it takes and sells the property to recover the debt. Therefore, they deduct all selling costs, including lawyers and agent’s fees, etc and so it is not a market value that they are providing. It also emphasises that the bank is their client not the borrower, despite it being the borrower who pays the fee! 2. The valuers, who are usually self-employed, are paid a very low share of those fees and thus have to carry out many valuations to make a living. With a few good exceptions, they don’t have the time to think on each value, just obtaining comparables from anywhere, putting them into the computer program, accepting that valuation down to the last centimo, signing it off and moving onto the next. 3. It’s not so bad now that banks and tasador companies have to be separate, but still there will be pressure put on individual valuers by bank managers who want to lend to a good client or an excuse not to lend to a bad one. Perhaps even to put off a client from one property and then show them a ‘better’ one that just happens to be being sold by the bank! It’s murky, but gradually getting better. RICS is working strongly to make sure that its valuers work ethically and to the International Standards put forward by The International Valuation Standards Council (IVSC). This is an independent, not-for-profit organisation that acts as the global standard setter for valuation practice and the valuation profession, serving the public interest.